Will Smith May Headline Tim Burton’s Live-Action DUMBO Movie | Birth.Movies.Death. Disney is circling with Will Smith to star for director Tim Burton in Dumbo, the live-action adaptation of the classic 1941 animated film. The studio is moving aggressively toward a production start with a script by Ehren Kruger about the big-eared, lovable elephant. I'm sitting here with a blank expression on my face, reading that paragraph over and over and trying to understand it. Will Smith to star in Dumbo, did you say? As in, Will Smith doing mo-cap for the elephant? Or are we talking about Will Smith playing one of the human roles, perhaps the cruel circus man who whips Dumbo with a switch? Was there a cruel circus man who whips Dumbo with a switch in Dumbo? 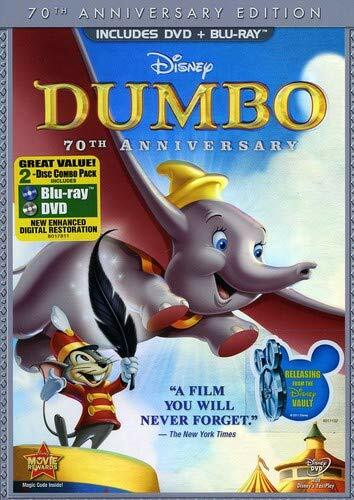 It's been a while since I saw Dumbo, but that's how I remember it. Oh, well, I'm sure Tim Burton can make that lighthearted enough. I've yet to wrap my head around what a live-action version of Dumbo directed by Tim Burton might look like in practice, but I have made progress since we first heard the news. This thing about Will Smith, though ... I mean, Jesus, this has knocked me right back to square one, folks. I'm baffled all over again. Oh, well. On the upside, this leaves Johnny Depp (Tusk, Yoga Hosers) wide open for Kevin Smith's Moose Jaws. Stay tuned for further Dumbo updates as they arrive.